Love Bug Sessions. Bumpy UK Garage & House. Hand picking the best new and unreleased music & classic beats, for your listening pleasure. International DJ, Producer, Remixer and Label Owner, DJ Fen has been established in the rave and garage scene since 1992. He set up pirate station, London Underground together with partner Ramsey and friends and has been involved in productions and remixes of some of the biggest garage anthems worldwide. As well as the studio, Fen is in demand on the global club scene having played all over the world. 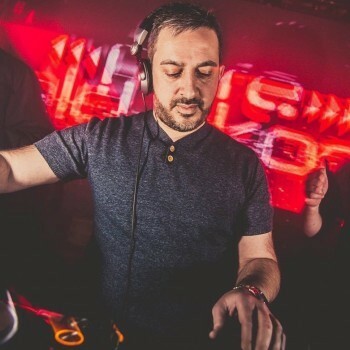 He has several residencies in and around London, not forgetting his own night; Club Ventura created in 1998 and 2004 saw the birth of a totally new concept in clubbing where Fen and partner Jimmy from Public Demand Records started ‘I’m A Celebrity Get Me In Here’. He is a regular name on festival lineups such as Southport Weekender, Garage Nation, 51st State, UK Garage Fest, Transmission, South-East Dance festival, to name just a few. In the clubs, some of Fen’s residencies include Back to 95, Twice as Nice, Freak Show, Stush, Exposure and Prophecy of House. He owns both Bug Records and his newest label Upcycle Recordings both promoted through Beat1, and they feature some exceptional talent as well as releasing his own material, which has had continued support from M-TV, Mobos and Music Week. Catch DJ Fen, Friday’s 11pm – 1am, only on Mi-Soul radio.